The University of Cincinnati College-Conservatory of Music (CCM) and Cincinnati Opera are pleased to announce that The Andrew W. Mellon Foundation has awarded a new grant of $550,000 to renew funding for Opera Fusion: New Works and support two new initiatives to promote diverse voices in the arts. In 2011, The Andrew W. Mellon Foundation awarded CCM and Cincinnati Opera a grant of $300,000 to support the creation of Opera Fusion: New Works, a joint venture dedicated to fostering the development of new American operas. The program offers composers or composer/librettist teams the opportunity to workshop an opera during a residency in Cincinnati, utilizing the talent, personnel and facilities of both organizations. The workshops are cast with a combination of CCM students and professional artists, and each workshop concludes with a free public performance. The program is led by co-artistic directors Robin Guarino, the J. Ralph Corbett Distinguished Chair of Opera at CCM, and Marcus Küchle, Director of Artistic Operations & New Work Development of Cincinnati Opera. The first grant funded workshops for six new operas, including Fellow Travelers by Gregory Spears and Greg Pierce, Great Scott by Jake Heggie and Terrence McNally, and Champion by Terence Blanchard and Michael Cristofer. In 2015, the Mellon Foundation renewed the program’s funding for another three years. The six operas selected to receive workshops in that cycle include Shalimar the Clown by Jack Perla and Rajiv Joseph, Hadrian by Rufus Wainwright and Daniel MacIvor, and Eurydice by Matthew Aucoin and Sarah Ruhl. This new grant will fund a third cycle of workshops for six new American operas in development, with titles to be announced at a future date. For more information on past projects, please visit ofnw.org. The new grant’s expanded funding provides support for two new initiatives which will expand the resources available to creative teams developing new works and support the creation of new works by diverse artists. Knowledge of vocal training could contribute greatly to the success of new works, and CCM is uniquely positioned to enhance the professional development of composers and librettists by providing up-close, intensive experience. The Composer & Librettist in Residence Program offers composer/librettist teams a two-week education in and exposure to vocal training and the art of lyric singing at CCM. The residency is intended to give composer/librettist teams focused access to singers and experts in vocal training pedagogy and operatic heritage. It will be offered to creative teams involved in either Opera Fusion: New Works or CO Next: Diverse Voices projects, at the discretion of the co-artistic directors. The decision will be based on a variety of factors, including level of experience in writing for the voice, stage of development of the work, and the specific needs of the projects. Composer/librettist teams will have full access to resources at CCM during the residency. Like Opera Fusion: New Works, these residencies will conclude with a free public presentation of material related to either the specific project or a selection of the composer’s larger body of work, and may take the form of an open masterclass, reading, cabaret or recital. Cincinnati Opera’s CO Next: Diverse Voices initiative showcases new or existing works by diverse composers or librettists, or works that prominently feature diverse characters in the storyline. The productions are envisioned to include a collaborative element with a community partner outside the Opera’s traditional partner organizations, and are presented as part of the Opera’s summer festival season. 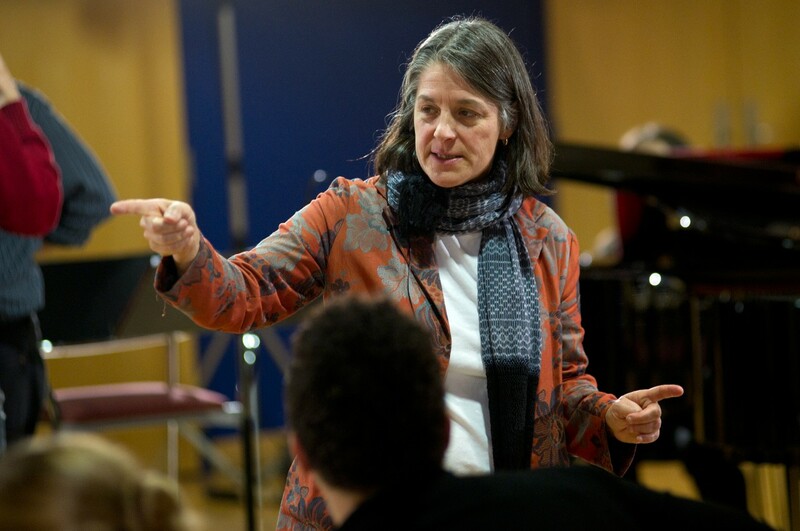 Upcoming projects include the commissioning of two new operas: Blind Injustice, a collaboration with the Ohio Innocence Project at Cincinnati Law and the Young Professionals Choral Collective, based on the true stories of wrongfully convicted persons freed by the Ohio Innocence Project, which will have its world premiere in July 2019; and Girls 2020, based on the real-life experiences of young women aged 11 through 17 who work with WordPlay Cincy and The Music Resource Center–Cincinnati, which will premiere in 2020. The Mellon Foundation grant will provide funding for two activities for each CO Next: Diverse Voices project: a mini-workshop during Cincinnati Opera’s season utilizing CCM students, employing the established success of the Opera Fusion: New Works workshop model; and an orchestra reading using CCM students in the winter months. In total, the new three-year Mellon Foundation grant will fund six Opera Fusion: New Works residencies, six Composer and Librettist residencies, and three new CO Next: Diverse Voices projects developed with the aid of one workshop and one orchestra reading each. Founded in 1920 and the second oldest opera company in the nation, Cincinnati Opera presents a thrilling season of grand opera every June and July. The company's repertoire includes beloved classics and contemporary masterworks brought to life by some of the world's most dynamic performers and creative teams. Cincinnati Opera’s 2019 Summer Festival runs June 13 through July 28, featuring Wolfgang Amadeus Mozart’s The Marriage of Figaro, Charles Gounod’s Romeo and Juliet, Richard Strauss’s Ariadne auf Naxos, the world premiere of Blind Injustice by Scott Davenport Richards and David Cote, based on true stories of the Ohio Innocence Project and The Gershwins’ Porgy and Bess. Cincinnati Opera's 2019 season is made possible with support from ArtsWave, Ohio Arts Council, Macy’s, The Louise Dieterle Nippert Musical Arts Fund, and many generous individuals, corporations and foundations. Cincinnati Opera’s mission is to enrich and connect our community through diverse opera experiences. Learn more by visiting cincinnatiopera.org. Declared “one of the nation’s leading conservatories” by the New York Times, CCM is a preeminent institution for the performing and media arts. The school’s educational roots date back to 1867, and a solid, visionary instruction has been at its core since that time. CCM offers nine degree types (BA, BM, BFA, MFA, MM, MA, AD, DMA, PhD) in nearly 120 possible majors. The synergy created by housing CCM within a comprehensive public university gives the college its unique character and defines its objective: to educate and inspire the whole artist and scholar for positions on the world’s stage. CCM’s 2018-19 Opera Series includes Mainstage productions of Benjamin Britten’s The Turn of the Screw (Nov. 15-18, 2018) and Wolfgang Amadeus Mozart’s La Clemenza di Tito (April 12-14, 2019), along with an undergraduate production of Johann Strauss’ Die Fledermaus (Feb. 8-10, 2019) and a Studio production of William Bolcom’s Dinner at Eight (Feb. 22-24, 2019). Learn more by visiting ccm.uc.edu.